Quality engraving with Diamond tip scribe. 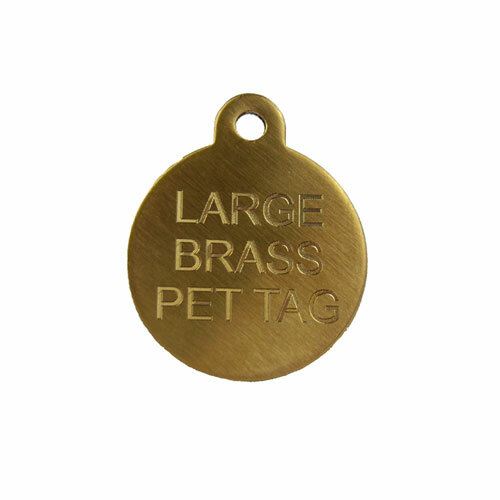 These High Quality small Brass Pet id tags are 40mm wide x 48mm high and a chunky 2.4 mm thick. Suitable for small dogs and puppies. A maximum of 5 lines per side can be engraved with up to 14 characters per line (including spaces).